Finally, a win for the citizens. The proposal to give town residents new addresses has been put on hold. The Town Board voted this evening to create an ad hoc committee to explore alternatives to a new ordinance that would have changed the addresses of Town of Delavan residents. The initial proposal was met with overwhelming opposition during earlier town meetings, but the Town Chair continued to push the ordinance for approval. An outpouring of opposition has derailed the efforts for now and hopefully, the ad hoc committee will develop a more palatable alternative. Sales of Delavan Lakefront and Lake Access Properties showed a slight improvement from 2009 to 2010. The start of the year was strong, slowing down during the summer and fall and finishing with a few more sales. For the full year, there were 13 lakefront properties sold and 21 lake access properties sold. The least expensive lakefront sale was a $300,000 four-bedroom home on the Delavan Inlet while the most expensive sale was a $1,400,000 five-bedroom, five bath, newer construction on South Shore Drive. The lake access properties ranged from a $40,000 foreclosure in Delmar Subdivision to a $290,000 three-bedroom home in Lakewood Estates. Last year, there were 11 lakefronts sold and 34 lake access properties sold. In 2008 there were 12 lakefront sales. The Delavan Lake condominium sales improved significantly from the prior year. There were 14 sales in 2010 compared to six in 2009. The sales range from $57,900 for a condo/hotel unit at Lake Lawn to a two-bedroom, two-bath Geneva Landings unit for $221,467. 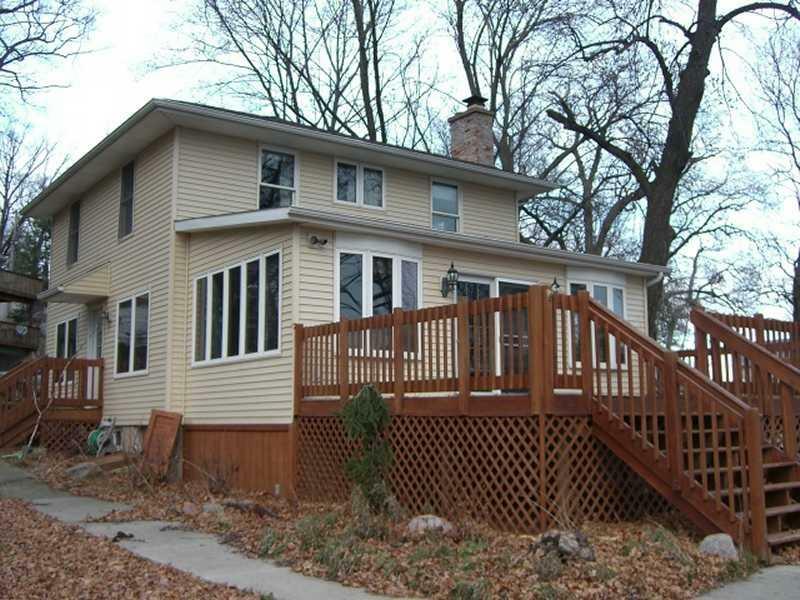 There are 75 single family homes on the market with lakefront or lake access on Delavan Lake. This is up from 69 at the beginning of last year. The lake access properties start at $50,000 for a two-bedroom cottage and increase to $595,000 for a four bedroom home with a deeded boat slip and shared pier. Lakefront homes start at $459,900 for a three-bedroom home on 60 feet of North Shore frontage and progress to $2,499,900 for a six-bedroom, five-bath home on Cedar Point Drive. In the condo arena, there are 45 units available with lake access on Delavan. This is down from 50 at the beginning of last year. The properties range from a $57,900 one-bedroom condo/hotel in the Lake Lawn Resort to $375,000 for a three bedroom unit on North Shore with a boat slip and 2-car garage. The best value for a lake access property on Delavan is a 2-bedroom ranch located off of South Shore. Listed at $129,900, this home has private boat ramp access, a swim pier, beach and a one car garage. 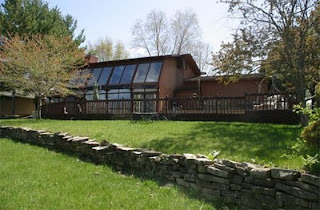 The best value for a Delavan lakefront is a three-bedroom, two-bath foreclosure on 60 feet of level frontage. 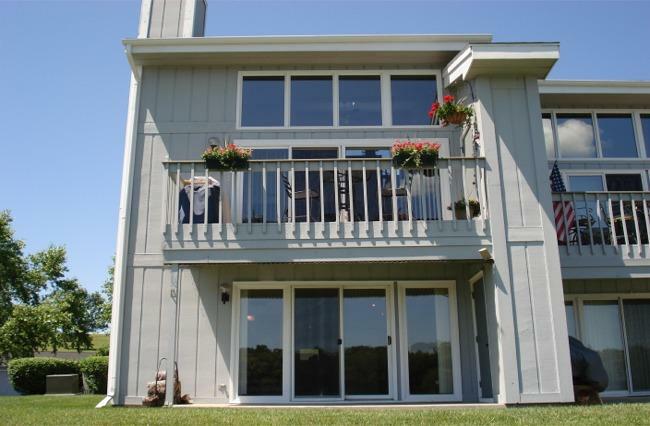 The home features a large lakeside deck, excellent views, and a private pier. 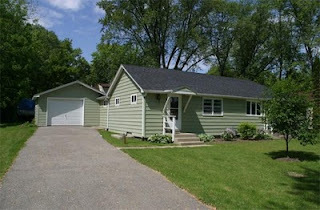 Listed at $459,900, this home is selling for $240,000 less than the assessed value. The best value for a lakefront condo is a one-bedroom, one-bath unit in the Delavan Club listed for $169,900. The unit is completely remodeled with wood floors, granite counters and a gas fireplace. The complex features an outdoor pool, tennis courts, basketball court, and fitness room. A late December sale on Delavan Lake built on recent momentum in the lakefront property area. The property, located at 2118 Blue Heron Drive features three bedrooms, three full bathrooms and over 2200 square feet of living space. Situated on the Delavan Outlet, the home has 104 feet of private lakefront, a large pier and wide open views from a wall of windows that leads to an expansive deck. Listed for $389,000, the home closed for $355,000 which was about a nine percent reduction from the listing price. There are another three properties on the lake with accepted offers which should lead to a strong start for the beginning of the year. The Town of Delavan held a joint meeting with the Police & Water Safety Committee and the Fire & Rescue Committee this evening. The purpose of the meeting was to resurrect the idea of re-addressing the entire town. This issue was first brought up in the August 2010 Town Board meeting when Chair Dorothy Burwell said, “The Highway Foreman has stated there are not enough numbers for neighboring community to number the houses and the numbering system is in disarray,” according to minutes from the August meeting. This statement later proved false, as there were ten times the numbers needed for the community. Due to opposition to the addressing plan, a special meeting of town residents was requested prior to the September 2010 Committee of the Whole meeting. As a result of overwhelming opposition to the idea, a second special town meeting was requested. This meeting was to be held in October at the town park, to accommodate the large number of attendees. The turn out for the October 2010 meeting was even greater, with over 90% of those in attendance opposing the change. As a result of the opposition to the ordinance, a motion was made not to adopt the ordinance. This motion passed and the ordinance was to go back to the Committee of the Whole for a more acceptable solution. Tonight, rather than come up with a more suitable plan, and take into account the voice of the tax payers, the joint committee, lead by Town Chair Dorothy Burwell, voted to recommend to the Town Board to change all the addresses in the town and pass the ordinance. The committee voted to pass the ordinance that had been opposed so vehemently at earlier meetings without modification. The only person voting against the matter was Supervisor Ryan Simons. Simons stated that we have heard overwhelmingly that the town is against this change. What we heard is that the town is willing to accept uniform signing for addresses, but they are against changing the addresses and handing over the addressing responsibility to the county. The matter will now most likely be put to a vote at the January 2011 Town Board meeting which will be held 6 pm, January 18, 2011 at the Town Hall.